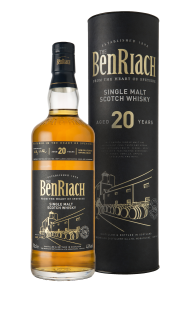 This whisky has been drawn from the most exceptional casks within our traditional warehouses. 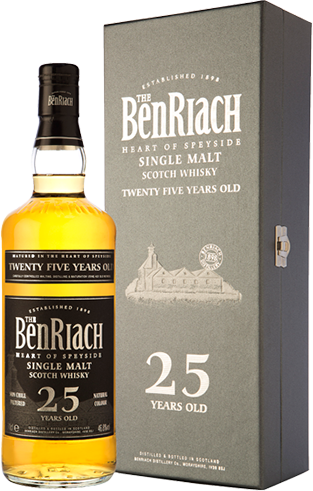 Produced in the traditional BenRiach style, the BenRiach 25 Years Old is non chill filtered and is bottled at natural colour. 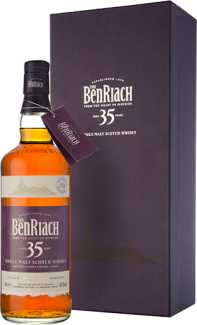 Rich honey, spices, apples and peat, in combination with superb oak-wood notes. 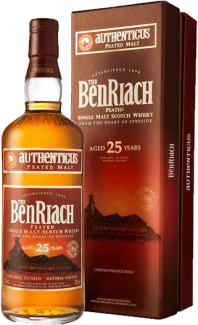 A rich cocktail of honey, Oloroso sherry, cocoa and apples, supported by a fascinating presence of citrus, sweet peat and wonderful wood notes.